You are Invited to a Dinner with Jesus of Nazareth - the mysterious envelope arrives on Nick Cominsky's desk amid a stack of credit card applications and business-related junk mail. Although his 70-hour workweek has already eaten into his limited family time, Nick can't pass up the opportunity to see what kind of plot his colleagues have hatched. Fresh out of Bible college, James Buchman has found a good life for himself as the pastor of a small church in rural upstate New York. But beyond the joy of new friends and young love lurks a deadly secret. 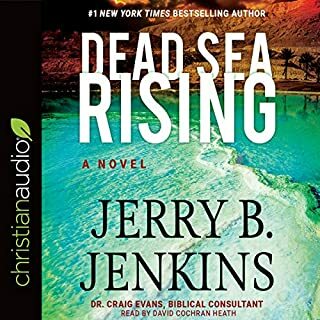 When inexplicable events leave innocent souls teetering on the edge of destruction, James can't help but wonder if the congregation's mysterious newcomer may somehow be responsible. A.D. 2088. Missionary daughter Abigail Caldwell emerges from the jungle for the first time in her 34 years, the sole survivor of a mysterious disease that killed her village. Abby goes to America, only to discover a nation where Christianity has completely died out. A curious message from her grandfather assigns her a surprising mission: re-introduce the Christian faith in America, no matter how insurmountable the odds. But a larger threat looms. The world's leading artificial intelligence industrialist has perfected a technique for downloading the human brain into a silicon form. Brain transplants have begun, and with them comes the potential of eliminating physical death altogether...but at what expense? 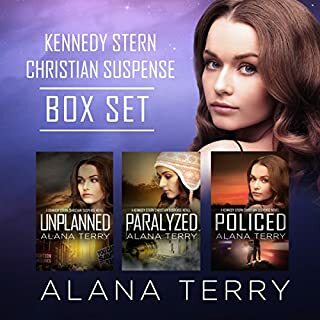 As Abby navigates a society grown more addicted to stimulating the body than nurturing the soul, she and Creighton Daniels, a historian troubled by his father's unexpected death, become unwitting targets of powerful men who will stop at nothing to further their nefarious goals. Hanging in the balance: the spiritual future of all humanity. In this futuristic thriller, startling near-future science collides with thought-provoking theology. 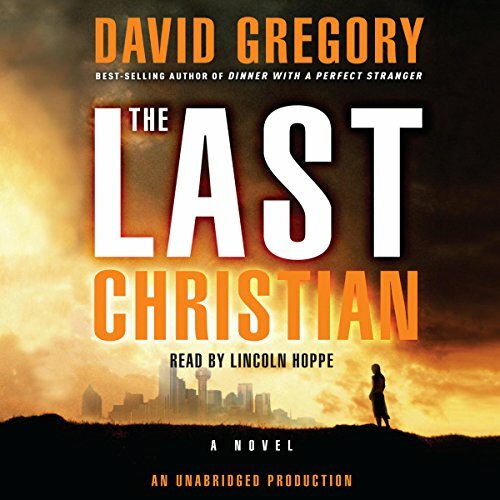 The Last Christian is a provocative "what if?" novel from David Gregory, best-selling author of Dinner with a Perfect Stranger. Very interesting explanation of God within us. Thought provoking story that inspires me to stop striving and rest in Christ's presence within me. 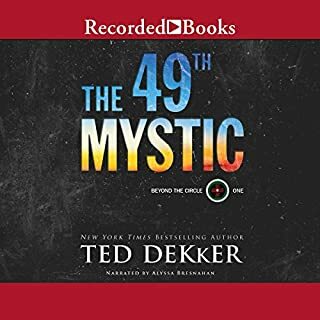 This book was an exceptional novel about the potential future of our nation and what that can lead to and our spirituality. It was very moving and helped to evaluate how even though intentions may be good, it can lead to catastrophic results I enjoyed this book and have recommended it to many many friends. Enjoy! 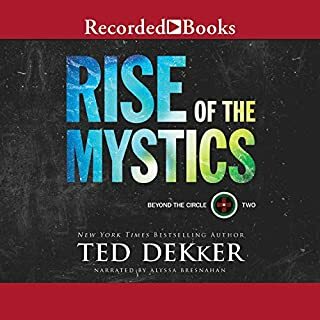 This book was inspiring and thought provoking, and I have recommended that my friends read it...I listened to it twice because it had so many great details. Abby was the main character and my favorite. Because she was raised in the jungle and not up to speed on all the newest technology, she was very innocent about learning technology but also couldn't understand how a country could possibly live with God. What about Lincoln Hoppe’s performance did you like? The Narrator was so good at voice tones to help distinguish the characters. He kept my attention. Yes, I didn't want to stop the book, normally listening while I exercise and drive. More books like this one would be great. An intersection of science and belief. I found this book to be an interesting intersection of science and belief. Would you choose to believe in man and live forever without God, or believe in God and live forever after death. Being a software engineer the thought of living as a software program gives me chills (because I know how buggy software can be). What would have made The Last Christian better? Better theology conserning the Christian faith and scriptures. 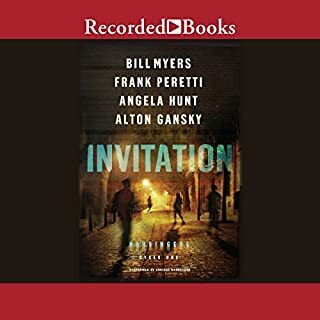 Has The Last Christian turned you off from other books in this genre? Very well read. Easy to listen to. Smooth voice. This book started out well and was actually good until about the last third. The gospel is lost. The true Christian message is watered down, and the premise is left wanting. This book could have been so much better. It came so close and then fell apart. It makes me sad. Good book, well written and performed. Thia was a good book in general, I'd love to see more Christian sci-fi that isn't just eschatological. This had a very believable future. The plot point that put the "Last Christian" against the tech was a bit of a stretch at first, but I figured it wasn't against scripture though I don't recall it in black and white in scripture. It was a good book. 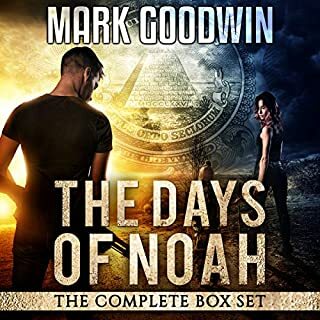 It's been a little while since I've come upon a gem here on Audible... One of those books that just grab you and keep you completely engrossed with both the characters and the story from start to finish... Until I got this one, that is. Excellent character development and story. Perfect mix of Science Fiction and Christianity. It also has a great message that's told through this great story line. If you like science fiction and are Christian, or even on the fence about Christianity, I highly recommend this book. It's very entertaining, engrossing, and insightful at the same time! I really enjoyed this book. I love science fiction/ futuristic settings. This book is thought provoking as to what our American society might be like in 75 years or so. It had great twists and turns. Never expected the ending. The narrator was great. Really easy to listen to. Found myself listening to the story as much as I could because I was so captivated by the storyline. Highly recommend this book. I was intrigued by this book and bought it with anticipation. However I won't get to find out from this audio version as I quit after a quarter. The Problem: The reader. I'm not sure if he was being overly earnest or if he was just bored. He read each word so slowly and left long, long gaps at the end of each sentence. Possibly interesting characters were reduced to unbearable bores. Every so often his voice would rise up as if he was a teenage boy. I'm sorry, I am still interested in the plight of Abby and maybe I will buy the book, however i begrudge paying twice for the same thing.